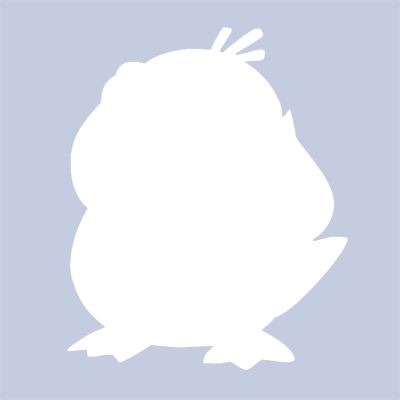 Alex P (eneen) added a comment to T56772: File Output node is missing "Save as render" option. Thank you! As usual I can help with testing. If new color management will not get into 2.8, this will surely make it more flexible. Alex P (eneen) updated the task description for T56772: File Output node is missing "Save as render" option. Alex P (eneen) created T56772: File Output node is missing "Save as render" option. Alex P (eneen) created T56764: "Save as render" option under IMAGE_OT_save_as RNA in key config doesn't work. Alex P (eneen) created T56712: Compositor image loader skips frames. Alex P (eneen) awarded D3638: Compositor: Film-like curve a Love token. Alex P (eneen) added a comment to T55162: Blender 2.8 Blender Keymap changes. There's no option to select and toggle v/s/r recursively in outliner. Ctrl key is now used to isolate selection by ctrl+clicking on visibility icon (but seems like without possibility to reverse action as alt+H shows all objects regardless of state). Maybe alt or shift +click on object icon and v/s/r icons can be used for this now (as previously ctrl), as this is feature is essential for working with parented objects. Alex P (eneen) added a comment to T50620: 3ds import - rotated elements. This is one screenshot is of, but other files seem to have same issue. Alex P (eneen) created T53041: Rounding UI font sizes to integer causes most fonts hard to read without antialiasing. Alex P (eneen) added a comment to T52298: Crash with more then 8 suns on NVidia card. On windows I don't have to enable them (render icon on). I got crash only by enabling material preview. As I understand crash happens inside graphics driver because of lack of memory, but still why shadow maps are enabled for hidden suns and take memory? There is shadow enabled for sun object. When I reduce shadow resolution (in Blender Grame mode) to 9000 Blender doesn't crash. Alex P (eneen) created T52298: Crash with more then 8 suns on NVidia card. Alex P (eneen) added a comment to T50458: Hosek/Wilkie sky model weird coloration. Luxrender currently has option for custom ground color, really nice feature for larger scenes where there is need to model plane to hide sky leaking from ground. It works independently to albedo. Alex P (eneen) added a comment to T50622: Edge subdivide smooth option works only near object origin. Thank you, now I know how it works. No problem to extrude before smoothing. It's worth to add it into documentation I think. Alex P (eneen) created T50622: Edge subdivide smooth option works only near object origin. Alex P (eneen) created T50620: 3ds import - rotated elements. Alex P (eneen) added a comment to D2445: GSoC 2016 - Bezier Curves Improvements. As architect I'm used to fillet/chamfer as separate tools too, but in Blender bevel tool gives really great artistic freedom. Having "profile" option in combined fillet/chamfer would reassemble blender bevel and is really nice addition despite of not being used in cad software. Alex P (eneen) added a comment to T45734: Grab, rotate, scale with basepoint. I'm not sure if it's good place to post suggestion but couldn't find better. In CAD objects are moved after selecting point not directly after command like in Blender. CAD simply waits for input after command. I think that instead of selecting point via B and C user should press modifier key (alt maybe?) or "precise snap" key like suggested "B" to disable transform (make Blender wait for input) and turn on snapping. It would allow selection of multiple points regardless of transform and wouldn't require many keys that can conflict. It is really similar to CAD way, as we are told there to select points one by one and we are doing it in certain order. It could be universal for all operations. Here gifs from FreeCAD. To move I selected object, then press MV (move), selected first point and then second. Similar with rotation: select, RO, first point as base, second as reference, third as target. Basepoint is defined when rotating and scaling. When moving there are only reference point and target point. If there is new transform widget in blender that widget also could be transformed using points, e.g. to rotate it or precisely move. What I mean, is that transforming using points is rather coordinate system extension using user defined coordinates that are stored to calculate required transformation. As you can see on gifs in FreeCAD there is additional "circle" inside cursor that snaps to objects during selection of base and target points. To me that coordinate extension is more 3d cursor then widget and 3d cursor would need to be "split to several cursors" to allow selection of multiple coordinates. There is Enhanced 3d Cursor addon that allows realtime 3d cursor snapping when holding right click and dragging but idea is that we can select reference point (that second point I selected during rotate) and target point (third point), so we are able to pick length or angle between existing elements. Alex P (eneen) created T50458: Hosek/Wilkie sky model weird coloration. Alex P (eneen) added a comment to T48828: OBJ importer lacks scale option. Alex P (eneen) updated the task description for T48828: OBJ importer lacks scale option. Alex P (eneen) created T48828: OBJ importer lacks scale option. Alex P (eneen) added a comment to T48142: Scaling lots of submeshes with "individual origins" pivot point makes blender unresponsive. I reported this as I've tested same thing in 3dsmax and works ok. Thank you anyway for explanation. I waited little longer and got window response, but when I copy that mesh, join and then scale blender hangs for good. Alex P (eneen) created T48142: Scaling lots of submeshes with "individual origins" pivot point makes blender unresponsive.